As a Michigan criminal defense lawyer with over 2 decades of experience handling cases involving drug possession charges, I have seen and wrestled with and resolved every facet that one of these cases can brings your life. This article will be a short examination of what it means to face a Michigan drug charge,” and what can be done about it. The goal of hiring a lawyer in the first place is to make things better, so we’ll see how that can be done, and how, in some cases, the entire charge can be made to “go away” and never show up on your record. There really is no “typical” drug case. Even so, chances are, if you’re reading this, a few relevant conclusions can be drawn about you: First, unless you’re hopelessly bored and have otherwise read all the other books and articles in the world, either you, or someone you care about is contending with a drug charge right now. Second, if you’ve read this far, you are more interested in an intelligent discussion of this topic than a few short lawyer-centered statements like “tough,” “aggressive,” “experienced,” or “call now!” This means that, whatever else, you, or whoever the person for whom you’re doing this, has a life that matters. Given the level of my representation, none of my clients are “hard cases” that have squandered everything and everyone from their lives over a decades-long drug addiction. Accordingly, I get a lot of “pill” cases, or cases involving someone with a good job having been caught with a little coke (not crack) or some marijuana. Often enough, I am contacted by a parent for a son or daughter whose association with the wrong crowd has led him or her to make some bad decisions, ending up with a drug charge. This is where the parents step in to protect their child’s future rather than let him or her be handicapped with a drug conviction on his or her record before ever really venturing into the job market. And if there is no “typical” drug case, there are certainly a few “typical” concerns that people of solid social status have when confronted with a drug charge. As I hinted at earlier, in my reference to “hard cases,” the career drug addict locked up again, for the umpteenth time has no concerns about his or her record. Usually, his or her only concern is when they can be released so they can get back to using. People with good jobs or educations, however, can suddenly be confronted with a host of considerations they never figured they’d have, and principal amongst them is having a drug conviction on their permanent record. This is really an important issue. We can skip the “you should have though about that” lessons for now; if you have a good job, or an education that can get you a good job, having a drug conviction on your record can make things difficult, or even impossible. A drug conviction can have a real life negative impact on your future. We need to work things out to avoid that, at all costs. That does NOT mean, however, that you should be taken to the cleaners for legal fees. I list my prices right on my website. While I am quick to caution anyone about thinking you’re going to get top-level service from some cut-rate legal operation, I also think it is important to bear in mind that handling a drug case is, in the vast majority of cases, far from a complex legal problem. In fact, if handling a drug case isn’t routine for your lawyer, then it’s safe to say you got the wrong lawyer. My fees fall right about in the middle range, which is exactly where they should be. One thing that can test the patience of any lawyer, and is often an issue with younger clients, is the “pseudo-expert” who wants to argue the law. Sometimes, a son or daughter can even convince mom or dad, for example, that the police had no right to pull over his or her vehicle, or no probable cause to search him or her. I will smile politely and spend a few minutes explaining the way things really are, but here, I’ll be direct: I am the lawyer. There is precisely a zero percent chance that you’re going to teach me anything I don’t already know. While I understand that in some situations (particularly with court-appointed lawyers and bargain-priced attorneys) the lawyer has no real incentive to do anything other than take the quickest deal he or she can manage, I do not and will not do that. Confidence balances cockiness, and kindness balances being spineless. Of all things, you have to trust your lawyer, and you should feel good about that. This means that you have to feel comfortable with your lawyer, and be able to discuss all of your concerns with him or her. If you think the police didn’t have probable cause to pull you over or search you, you should feel comfortable questioning that in detail with your lawyer, and should feel welcomed to participate in the analysis of these things. This is what you’re lawyer is paid to do, and this kind of exchange between the lawyer and client is critical to knowing that your lawyer is aware of everything and has your best interests in mind. The more astute reader will notice I haven’t mentioned jail, at least until now. This is another subject that can test my patience, but this time from the lawyer’s side, and not the client’s. It bothers me that some lawyers try and position themselves as if they stand between the client going into or staying out of jail. Let me be crystal clear on this point: Unless you have a really bad record, at least in the Metropolitan-Detroit area (meaning Macomb, Oakland and Wayne Counties), there is almost no chance that you’re really facing jail in the first place. Thus far, we’ve established that you’re probably not going to jail in the first place; as a result, that means you shouldn’t waste your time or money on any lawyer whose sales pitch revolves around keeping you out of jail. We’ve also concluded that keeping a drug crime off of your record is very important, and may even be the most important consideration you have. I’ve noted that part and parcel of my job is to analyze things with the client, and explain things to him or her, but that it can also be trying to have to deal with someone who wants to “play lawyer.” If that stops me from getting called by someone who thinks he or she knows the law better than I do, and wants to play the role of the lawyer, that’s fine by me. I am here to help my client and make things better for him or her, not to argue. I’ve argued in court for well over 20 years, and I know what succeeds and what doesn’t. This is why I limit my criminal practice to cases pending in the cities of Macomb, Oakland and Wayne Counties. I know the courts here, and how things are done. This means that I can say, with authority and experience what will work, and what won’t. Beyond protecting my client’s obvious interests, my decades of experience allow me to see things that aren’t obvious to the client, as well. Part of my job is protecting interests my client may not even know he or she has. Most people don’t think about the consequences of a drug conviction on their driving record. In Michigan, if you are convicted of a drug crime, and you don’t go to jail (we’ve already concluded that you won’t…), then the court MUST suspend your driver’s license. Beyond losing your license, this is a permanent entry on your driving record. The number of employers looking at driving records and/or criminal records is constantly growing. This makes avoiding a conviction all the more important. Normally, I can negotiate plea arrangement that will allow a person to be placed on probation (it can be non-reporting probation) without actually being convicted of the drug offense. If the person completes this period probation without any problems (here, “problems” are overtly stupid things like getting arrested for another drug crime, or testing positive for drugs while on probation), then the whole case is dismissed with no conviction and no record. Beyond all of these legal considerations, I bring something more to this discussion. I understand that most drug charges do not mean a person has a drug problem; that doesn’t always hold true for the courts, however. I have to protect my client from being seen as having a drug problem, and all the legal experience in the world can’t substitute for a proper clinical education. I am actively and formally involved in the post-graduate, University study of addiction issues. I speak the language of the clinician as well as the language of the law. I can protect you from being seen as having, and thereafter counseled or treated for a problem you don’t have. And if you’re use has become problematic, I can certainly help you examine and weigh your options. I will do a lot more than hand you the card of some clinic and tell you to call it. I understand the etiology and development of a problematic relationship to drugs; I know how these problems are diagnosed, and I know the entire panorama of empirically validated treatment options. As much as I can protect you from getting pounded by the court, I can also make sure you don’t wind up getting soaked by some slick counseling operation, and believe me, there are some out there. 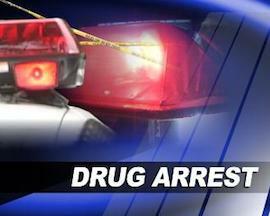 Whatever your predicament, if you’re facing a drug charge anywhere in the Tri-County Detroit area, I can help. Do your homework. Read what other lawyers have written; how do their various personalities “come through” their articles and website sections? Pick up the phone and call, because you can learn a lot about an office from even the briefest phone conversation. Whatever else, call my office, as well, and find out what I can do to help, and how you’re questions are answered.